Welcome, Paco! The newest member of the Parzen family! Little Paco (above, left) came into our lives two months ago, first as a foster dog and then as our officially adopted chihuahueño. 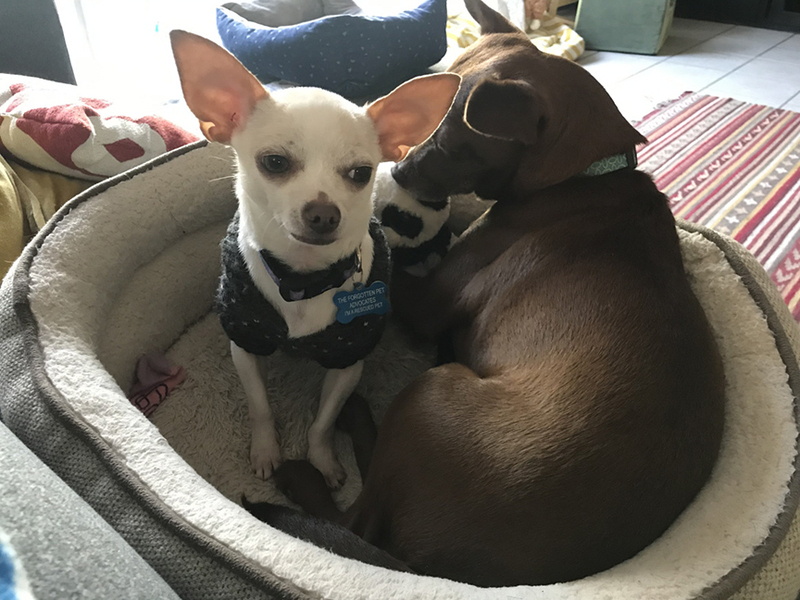 He’s super sweet with the girls and he’s been wonderful for our chihuahua mix rescue Rusty, who is still a bit neurotic and skittish but a lot less so now that he has a pal (they are best friends, even though Rusty can be a little jealous of his daddy). Paco was a rescue, too: he was abandoned by his family when they moved to a new house. They took their other dogs but not little Paco! We don’t know why. Enjoy the music and the cute chihuahua pics! Thanks for being here and sharing our joy. Buon weekend a tutti! Have a great weekend, everyone!